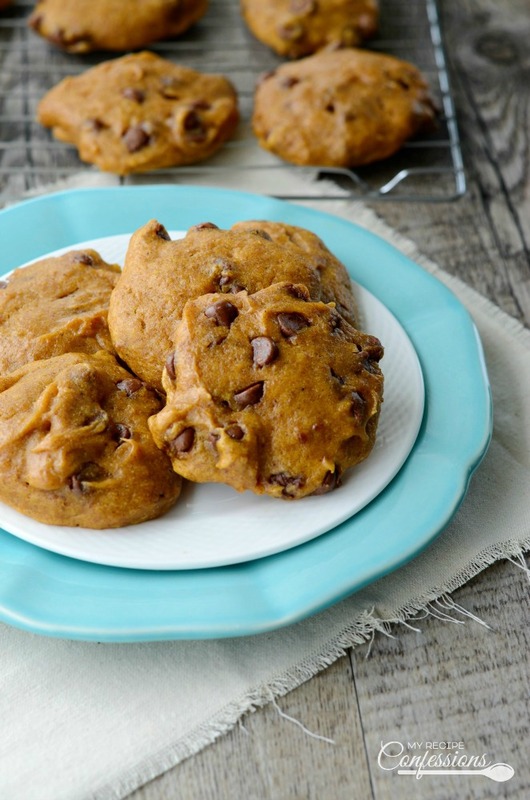 Gluten Free Pumpkin Chocolate Chip Cookies taste nothing like other gluten-free cookies. These soft cookies are bursting with a rich pumpkin flavor and the milk chocolate chips just adds more joy to each mouth-watering bite. Don’t be fooled into thinking that only those who avoid gluten can enjoy these cookies. My kids down these cookies without a second thought. In fact, I kind of wish that my kids didn’t like them as much because then I would have them all to myself. 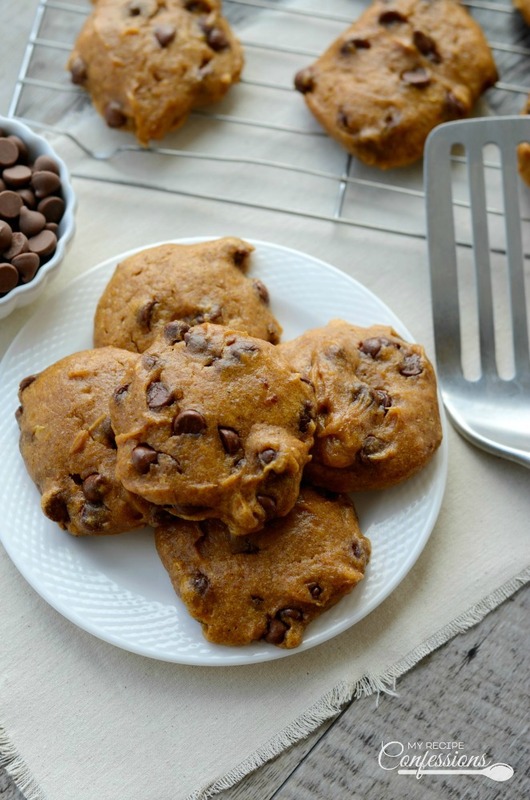 What I like about this Gluten Free Pumpkin Chocolate Chip Cookie recipe is that you don’t have to mess with all the different flours. Gluten free flours are quite pricey and figuring out the right balance is really tricky. 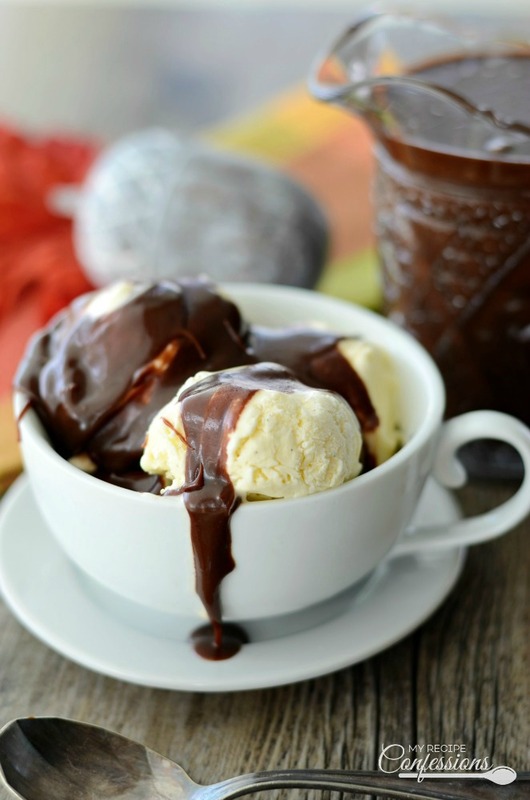 This recipe takes all the guess-work out of it and the results are mouth-watering! 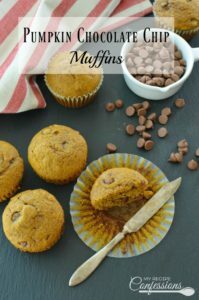 This Gluten Free Pumpkin Chocolate Chip Cookie recipe came about after my good friend Laura called me and wanted to know what spices she could add to her gluten-free yellow cake mix to make it a spice cake. 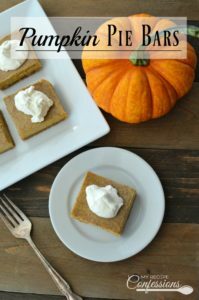 I have a recipe for Pumpkin Chocolate Chip Cookies that uses a spice cake mix and she really wanted to try them in a gluten-free version. Laura was diagnosed with Celiacs disease a few years ago. Like many others with Celiacs disease, she has had to completely change how she eats. The next morning after she had called me, there was a knock at my door and there stood Laura with a gluten-free pumpkin cookie. The cookie was really good but we both agreed that it did need a little more spice to bump up the flavor. After I played around with the recipe a bit, we were both very happy with the results! I added more applesauce to try to keep them moist. I also added one tablespoon of dark brown sugar to help enhance the other spices in the recipe. I also tweaked the spices a bit. I ended up baking them at a tad bit lower temperature and for a little bit longer. This also helped keep the cookies moist. 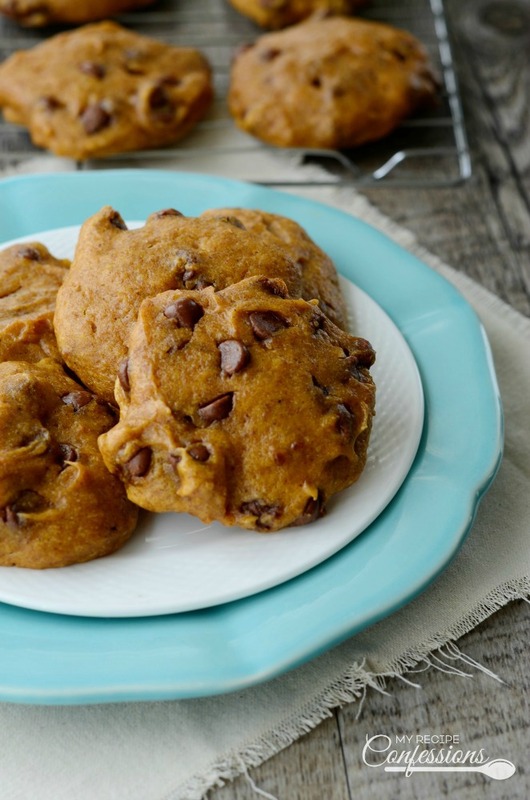 I originally posted this Gluten Free Pumpkin Chocolate Chip Cookie recipe on October 26, 2013. At the time it was really hard to find gluten-free spice cake mixes. Since then gluten-free spice cake mix is a lot easier to find in the grocery stores. I have since switched to using the spice cake mix instead of the yellow cake mix. You can use either the yellow cake mix or the spice cake mix, there really isn’t a lot of difference in the flavor. I am excited for you all to try them out and let me know what you think. 1. Mix all the ingredients together in a large bowl until well combined. 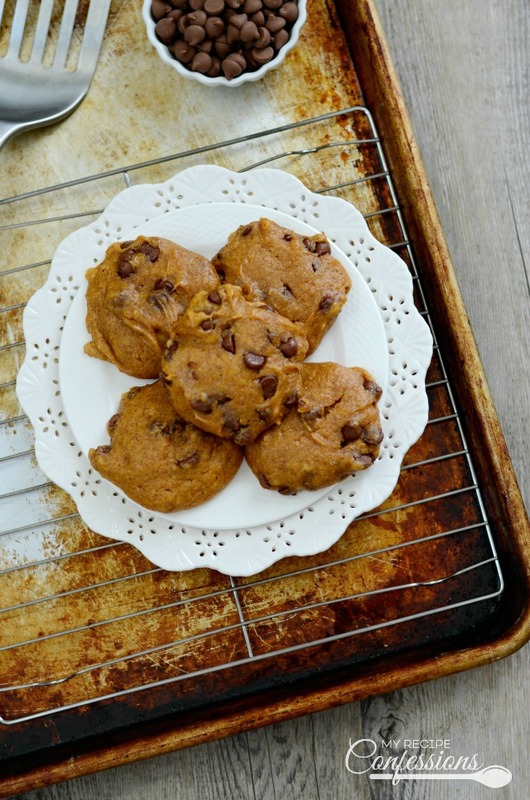 Drop a heaping tablespoon full of cookie dough on a greased cookie sheet and repeat. Bake at 350 degrees for 20 minutes. Let cool completely. Enjoy! Here are a few other recipes you need to try. These cookies look fantastic! Can’t wait to make them for my two celiac daughters-in-law. Question: How many ounces are in the box of spice cake mix? My grocery store has two different gluten free cake mixes. One is 56 ounces and the other is 24 ounces. Which one should I buy for this recipe? Thanks! The cake mix that I used was 24 oz. I am excited for you to try the cookies. We love them at our house! You are my beautiful ,smart ,cute girl .I love your food and everything that you do!! So if you extras put then in a box and send then to me.Love Mom. You are the best! I wouldn’t be where I am today without you. Thanks for all you do for me. I love you! I tasted them & they are so delicious! I will definitely be making these for family parties so Cynthia & Kalea can have some. I am excited too. I always feel so bad when we had food that they can’t enjoy. I will be experimenting with more gluten free recipes in the future.